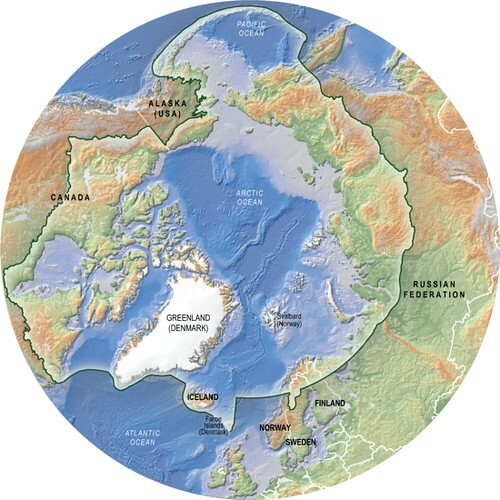 The Conservation of Arctic Flora and Fauna is a working group under the Arctic Council, for the countries of Russia, Denmark, USA, Canada, Sweden, Iceland, Norway and Finland and indigenous peoples. Monitoring, assessment, protected areas and conservation strategies are all tasks under this working group. The area that the working group primarily addresses is presented in this map.